Rose Gold Jewelry. Beautiful Everyday. Bridal Jewelry. All orders during this time will be mailed out after Feb 12. Welcome to Color Me Missy !!! Please read FULL announcement and policy Before purchase. ⁕ International registered airmail: at least 14 - 25 WORKING days to deliver. ⁕ DHL upgrade is highly recommended if your purchase is over USD 150. ⁕ Please use ETSY message only. I check it almost everyday. - Recently the air mails to Canada has been taken exceptionally long to deliver ( around 2 months). For Canada customers who need their jewelry in less than 2.5 months, please upgrade the shipment to DHL express mail (http://etsy.me/2pIWWws). Thank you. ♥ If you need your pieces rushed, please contact us *BEFORE* making your purchase. Production Rush Order Service & Expedited Shipping are available for an Additional Fee. Please kindly respect Handmade and Artisan, and do NOT make a rush order request at checkout without prior notice or agreement!!! Thanks for your understanding and cooperation. ✦ Ship through registered airmail with tracking which requires a signature upon delivery. ✦ Any questions or requests, just send me a convo. I check it almost everyday. ♥ Like my facebook page for facebook fans only discount code. ✦ For wholesale buyer, please covno me. All Designs, Descriptions and Photographs are copyright of and protected designs for Color Me Missy(TM). Please do not copy. These arrived quickly and were exactly as described. Thank you! Rose gold cubic zirconia long esrrings. Perfect for brides, bridesmaids and loved ones. Rose gold champagne earrings and necklace set. 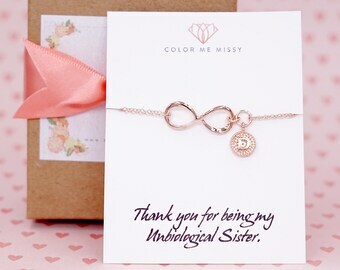 Perfect gifts for yourself, loved ones and bridesmaids. Rose Gold Love lariat necklace with luxe cubic zirconia teardroo. All our jewelry will be gift wrapped. To make the things I love. ✦ For wholesale buyers, please covno me. ✦ Prices on my Etsy store are special prices that are below retail price, and are applicable to Etsy only.